Lakes change constantly in response to their surrounding landscape, and their airshed. Mirror Lake, located in the White Mountains of New Hampshire, has been carefully researched since the 1960s. This book, edited by Thomas C. Winter and Gene E. Likens, summarizes and interprets the extensive data collected on this lake and its watershed from 1981 to 2000, a period during which the lake was affected by a variety of climate conditions as well as significant human activity. The findings documented also identify the panoply of chemicals influenced by limnological processes and include percentages of inflow sources, percentages of water loss from seepage, surface outflow, and evaporation, and the effect of water flow on the lake nutrients. Thomas C. Winter is a senior research hydrologist with the U.S. Geological Survey. 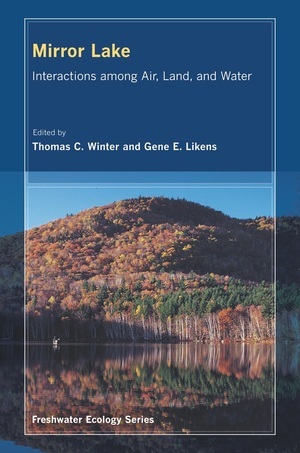 Gene E. Likens is the Director and President of the Institute of Ecosystem Studies in Millbrook, NY.